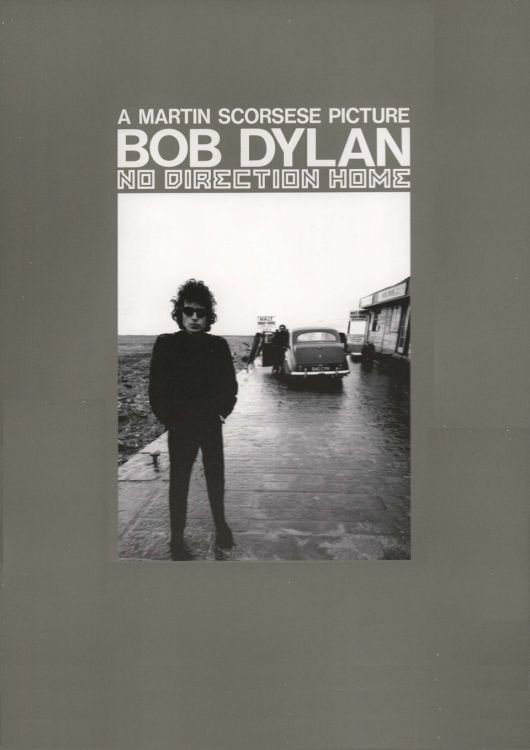 NO DIRECTION HOME: BOB DYLAN is a 2005 documentary film by Martin Scorsese that traces the life of Bob Dylan, and his impact on 20th-century American popular music and culture. The film focuses on the period between Dylan's arrival in New York in January 1961 and his "retirement" from touring following his motorcycle accident in July 1966. This period encapsulates Dylan's rise to fame as a folk singer and songwriter, and the controversy surrounding his move to a rock style of music. The title is taken from a lyric of Dylan's 1965 hit single, "Like a Rolling Stone". (Wikipedia).